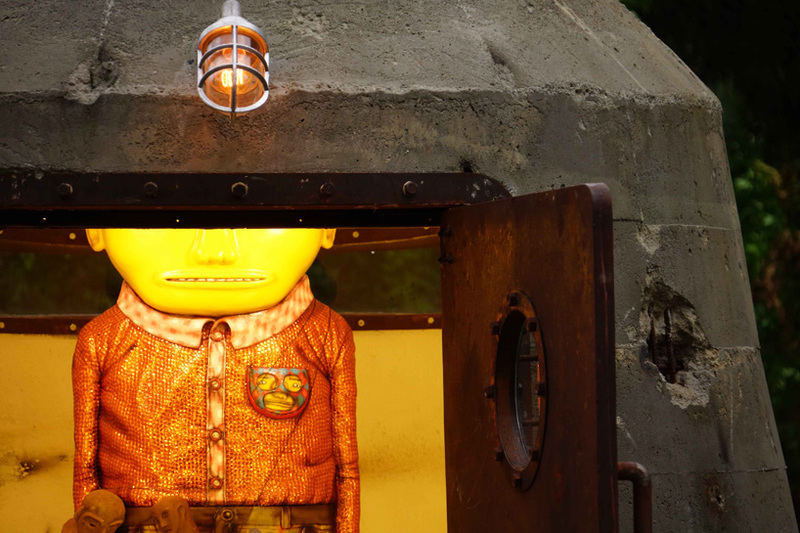 Recently, the Brazilian graffiti duo known as Os Gemeos, created a sculptural piece that pays tribute to Brazil’s folk art past and ever-changing future. 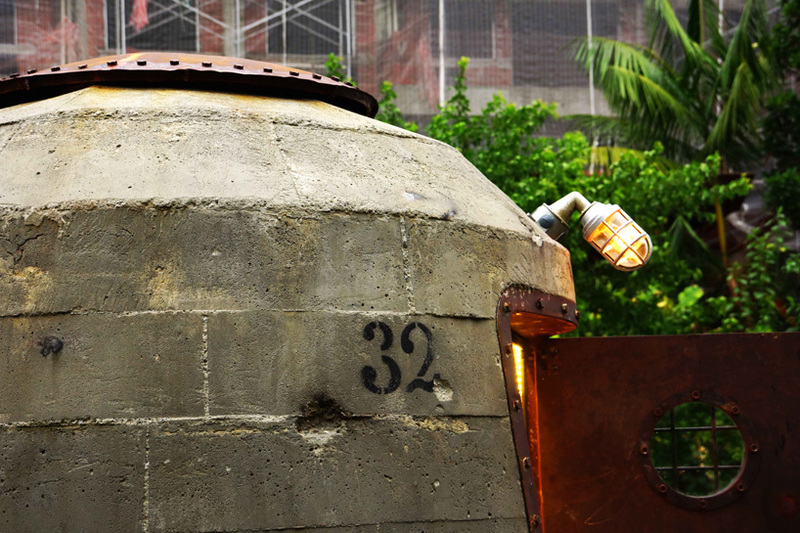 “The Bunker”, seeks to convey an artistic resistance to a future that is continuously growing with the construction of shapeless buildings of modernity. Using architecture as a platform, the duo have created a work that rebels against this very invasion. 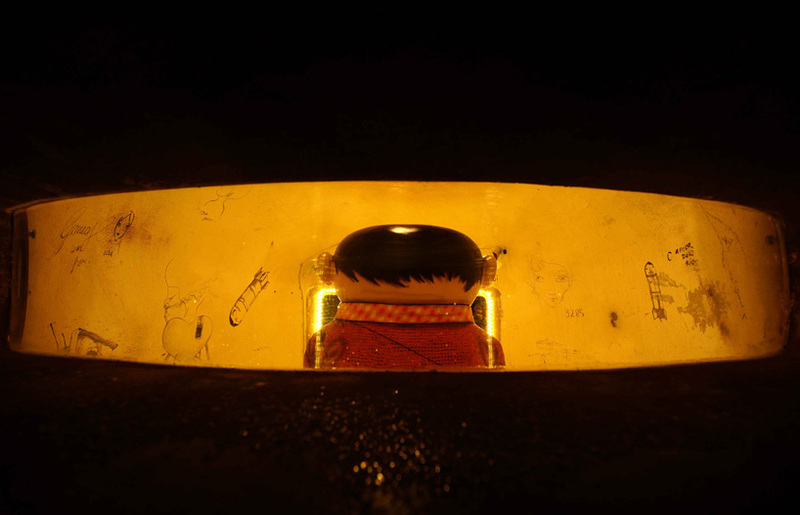 Hidden within the concrete shell, is a life-sized figure that’s characteristic of Os Gemeos style — with yellow skin, an elongated face and patterned, colorful clothing. This ‘refugee’ of a time long passed stands in the center of a the warmly lit space. Yet, what pulls this piece together are the intricate wall drawings, etchings, and illustrations that tells a historical story of Brazils rich past. Its a form of primitive art that resonates with the human condition. 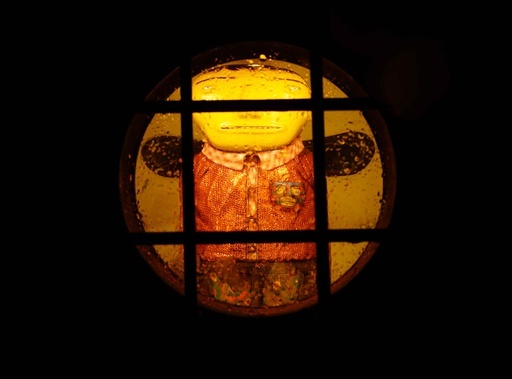 Within the confined space, are two small windows — one circular at the front and one long and narrow at the back — allow passing viewers to peer within when the door is closed. 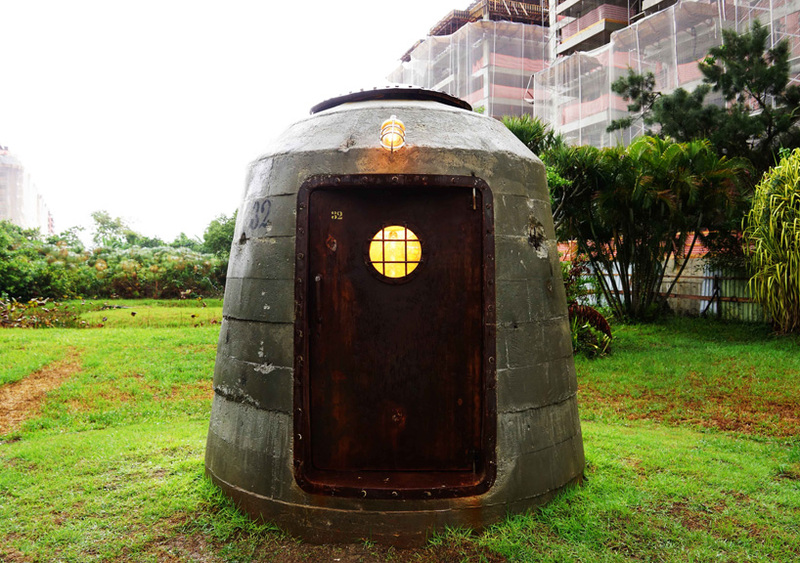 With its military design aesthetic, the bunker protects the artwork while simultaneously becoming a new sculptural installation for the public to enjoy for years to come.